Union Bank of India, Leading Listed Public Sector Bank with Head Office in Mumbai and all India representation invites ON-LINE Applications, form qualified candidates who hold a valid score card issued by IBPS, for recruitment to the post of Probationary Officer. Union Bank of India recruitment for the Probationary Officers will be based on the Weighted Score of IBPS CWE. UBI has not set any min. cutoff for Weighted score it means all the candidates who are full filling the other eligibility criteria may apply to Union Bank of India Recruitment of PO Jobs. Fees must be paid therough Bank Challan from any counter of Union Bank Of India Branches in India. Union Bank of India has not specified the cutoff score for the IBPS CWE . It means all the candidates may apply for the Union Bank of India (UBI) having the valid weighted scorecard issued by IBPS CWE. There will be personal Interview of 50 marks where each candidates need to score minimum 50% (45% for reserved Cat) marks to qualify the Interview. Candidates not clearing the Personal Interview will not be considered for final selection. The short-listing of the candidates for Personal Interview will be made on the basis of the candidate’s performance in the Written Test conducted by IBPS and the Total Wheighted Score obtained as per the valid Score Card Issued by IBPS. Depending on the number of vacancies, only those candidates who are Qualified in the Common Written Examination conducted by IBPS and possess a valid score card issued by IBPS and rank sufficiently high in the order of merit based on the total Weighted Score shall be called for a Personal Interview in the ratio of 1:3 for General / Unreserved Candidates and 1:5 in case of candidates belonging to the Reserved Categories). In other words, 3 General and 5 Reserved Category candidates against the vacancies stipulated respectively would be called for the Personal interview depending upon their ranking as per the total Weighted Score obtained by them. Candidates passing the Personal Interview will be ranked in a descending order on the basis of the Weighted Score obtained in the Written Test conducted by IBPS, Personal Interview under the respective SC / ST / OBC / GEN Category. 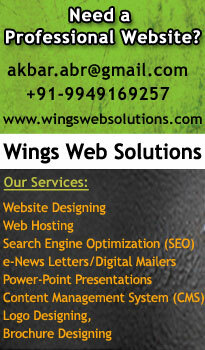 Candidates must apply online through Union Bank of India website. After paying the fees in full. Union Bank of India was inaugurated by the Father of the Nation, Mahatama Gandhi, on November 11, 1919. Started as a limited company in Mumbai, it was one of the few Financial Commercial banks in India. Until 1947, UBI had only 4 branches - 3 in Mumbai and 1 in Saurashtra, all concentrated in key trade centres. Catering to all the sectors of the society, be it agriculture, industry, trade and commerce, services or infrastructure, the bank has also played a major role in rendering services to the financial needs of every section. Apart from this, the bank also extended financial support to educational, housing and trade sector. Union Bank of India undertook the task of establishment of village knowledge centers and self-employment training centers. It was in 1975, that the Union Bank of India was nationalized. It was, then, that it merged with the Belgaum Bank, a private sector bank. Another merger was on cards in 1985, this time with the Miraj State Bank. 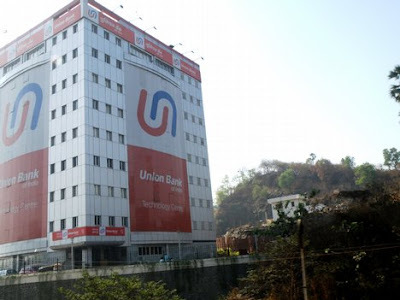 Union Bank is a Public Sector Unit with 55.43% Share Capital held by the Government of India. The Bank came out with its Initial Public Offer (IPO) in August 20, 2002 and Follow on Public Offer in February 2006. Presently 44.57 % of Share Capital is presently held by institutions, individuals and others. With the age of global banking, Union Bank of India also changed its style, boasting of urbanized and computerized core banking systems. A front runner among public sector banks in modern-day banking, it has all the facilities that a modern bank should have - internet banking and centrally computerized branches. UBI was one of the pioneer public sector banks, which launched Core Banking Solution in 2002. As of September 2005, more than 670 branches/extension counters of Bank are networked under Core Banking Solution. The Bank has launched multiple Electronic Delivery Channels and has installed nearly 423 networked ATMs.